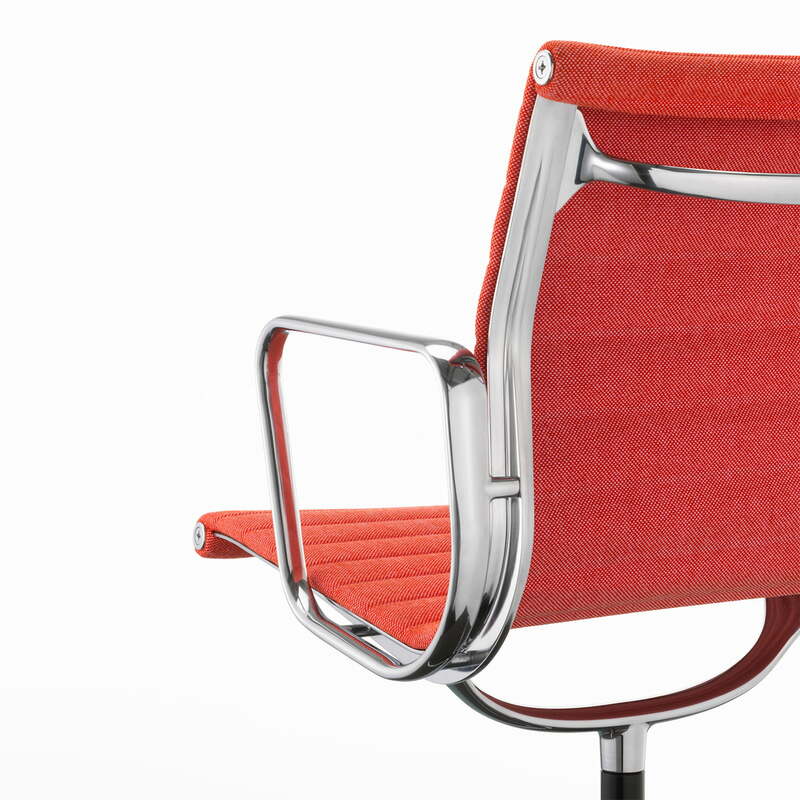 Initially designed for the private house of an arts collector, the Aluminium Chairs by Charles & Ray Eames became real classic pieces of the 20th century finding their way through the whole world. The design marriage renounced the principle of a seating bowl and replaced it by tensed textile and leather belts, with spring feathers between the sides of aluminium. 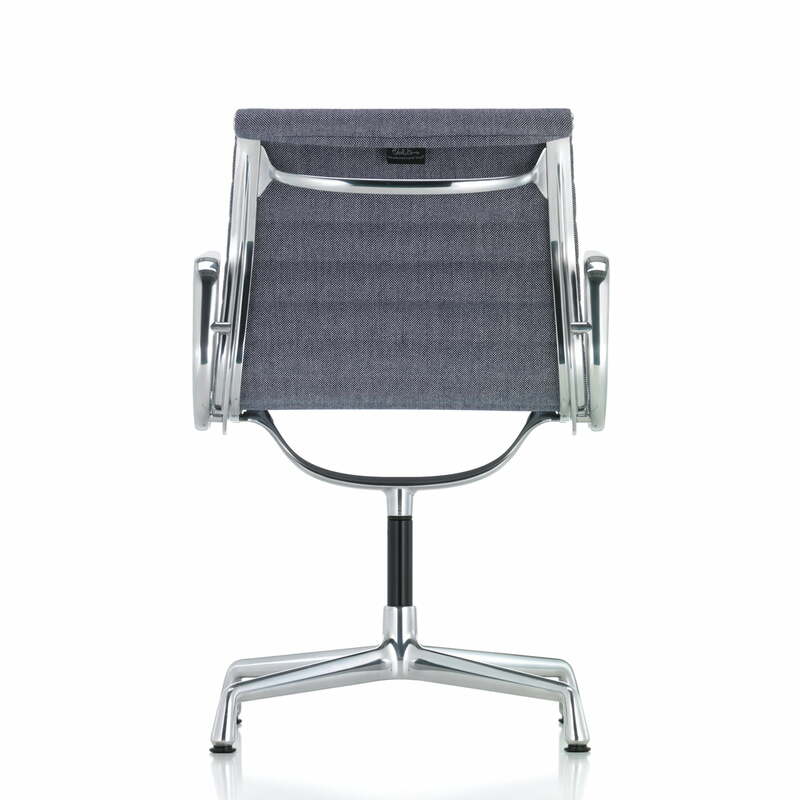 The Aluminium Chair EA 104 adapts to the body and it offers a lot of comfort, even without lavish upholstery. 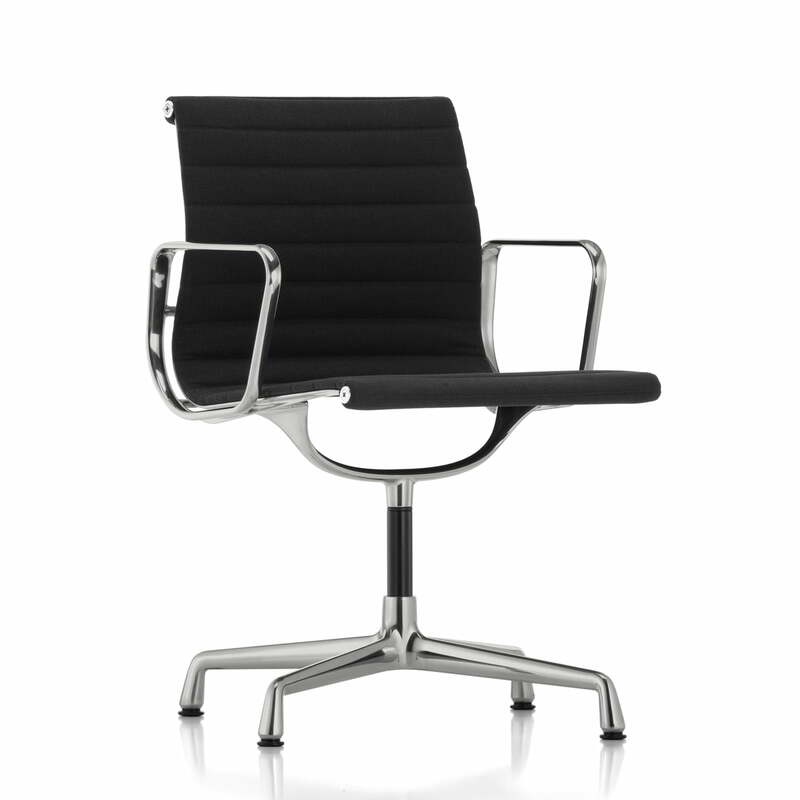 These qualities make the EA 104 office chair equally suitable for offices, public rooms and private areas. 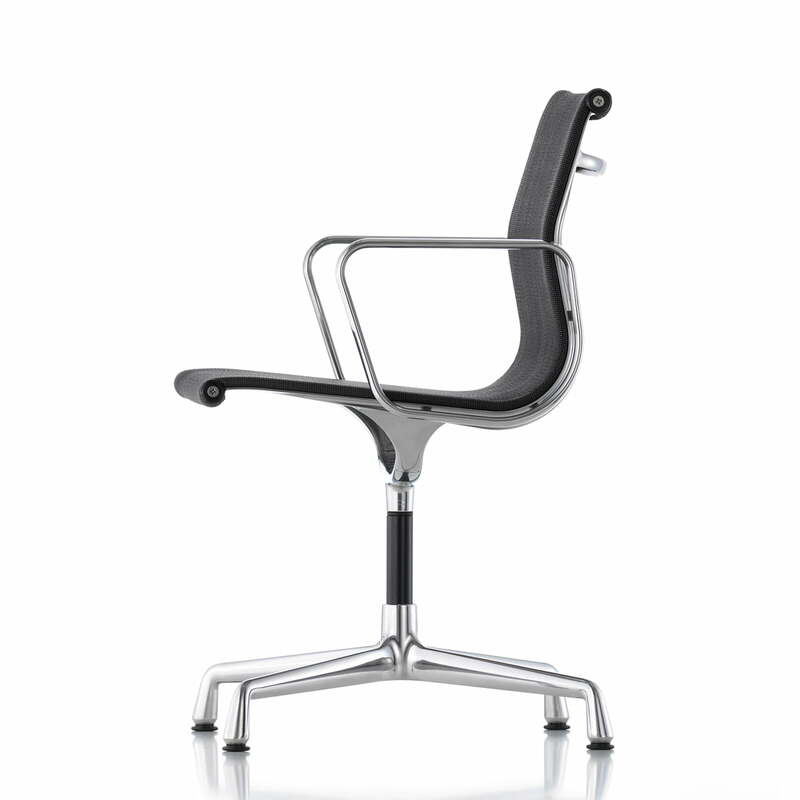 The Aluminium Chair EA 104 is ideally suitable to be used at a table: It is slimmer than the other Aluminium Chairs, the seating position is more upright and a little higher, the armrests are shorter. The EA 104 is therewith perfectly suitable for private dining rooms, restaurants or for meeting rooms in offices. 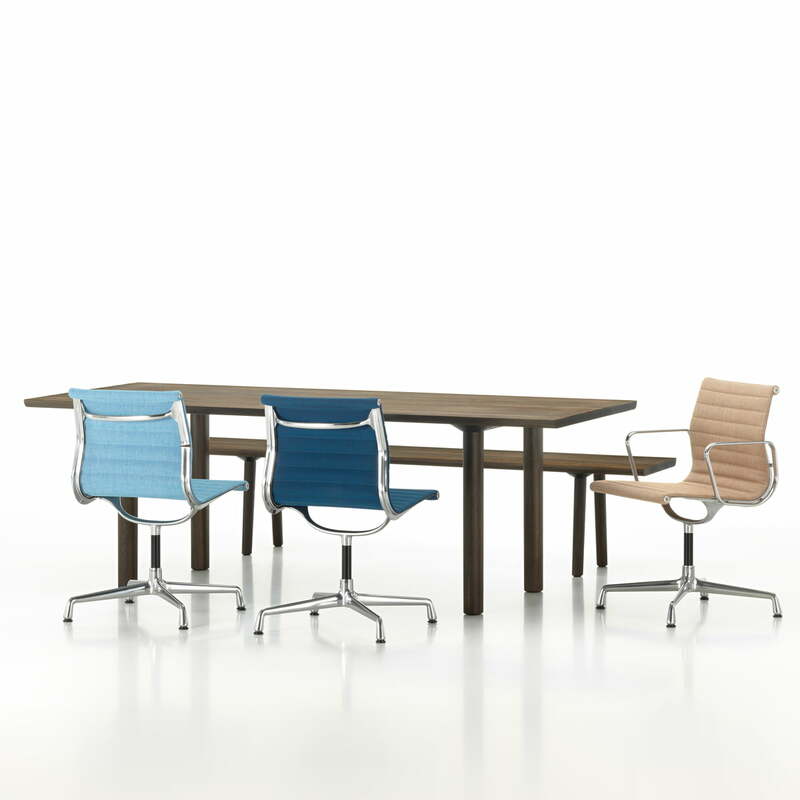 The Vitra EA 104 is also available in further colours, with other fabrics and as EA 101 without armrests and without swivel base as well as EA 103 with armrests, but without swivel base. 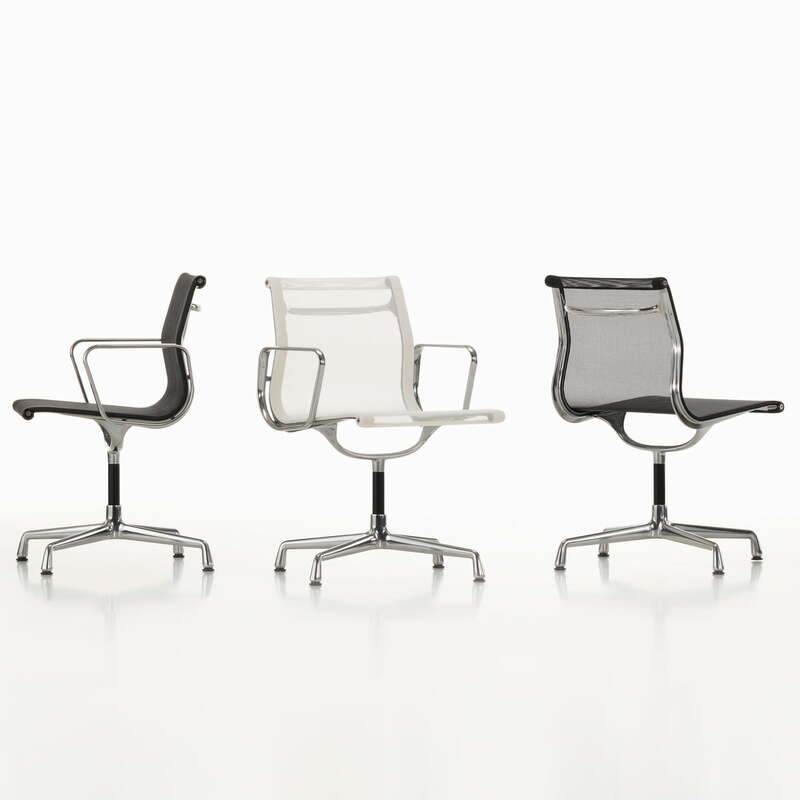 Besides the EA 104 and the similar EA 101 and 103, there are also many further available models of the Vitra Aluminium Group.